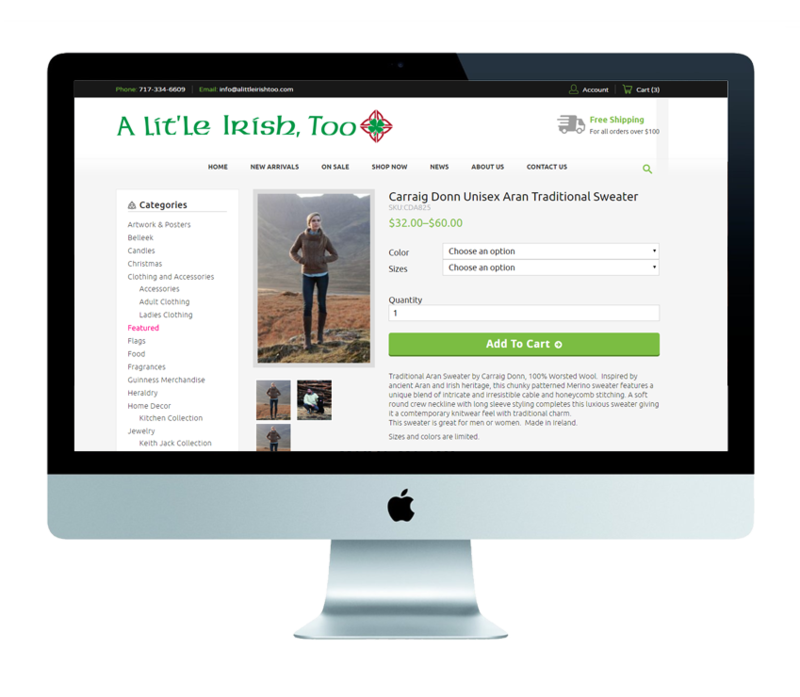 A Lit’le Irish Too came to Misfit Interactive to completely overhaul their website with a new design and migrate to a new e-commerce system. We gave them a clean layout and converted themto a more user-friendly system like WooCommerce and WordPress to maintain their online selling experience. We also worked diligently to incorporate their online sales with seamless integration with their Point of Sale system in their local shop. Their previous e-commerce solution was expensive, did not integrate directly with their in-store point-of-sale system, and was not easily managable. Misfit Interactive provided them direct integration with their in-store point-of-sale system so that sales both in store and on the website integrated together for accurate stock, product, and pricing information. The client can now login and easily make changes to their products that reflects on both systems automatically, and we’ve eliminated their expensive monthly cost by providing them a reliable hosting solution.